This week has felt like the first week of summer here in Perth so I was very glad I had time to finish a black linen peplum top on Tuesday. Luckily linen drys very quickly so I've been able to wear it everyday since! The pattern is the Peplum Top which In The Folds created for Peppermint Magazine. It is available through the Peppermint website for free which is amazing. This pattern is very comfy - I'll be wearing it a lot over summer. It is quite a simple design but I think the lovely V back elevates it to something special (see photos below). I have a large bust so I added two inches to the length of the bodice which worked quite well; however, next time I think I will do a Full Bust Adjustment (FBA) and add a bust dart to give it a little more shape. I'm new to FBAs so I will report back on whether this strategy is a success! I love the linen I used for this pattern. It was a 1 m off cut I purchased for $10 from a local designer who sells her remnants in her shop - such a great idea! I wish more designers would do this so I could purchase more second hand fabric which is a much more sustainable option. 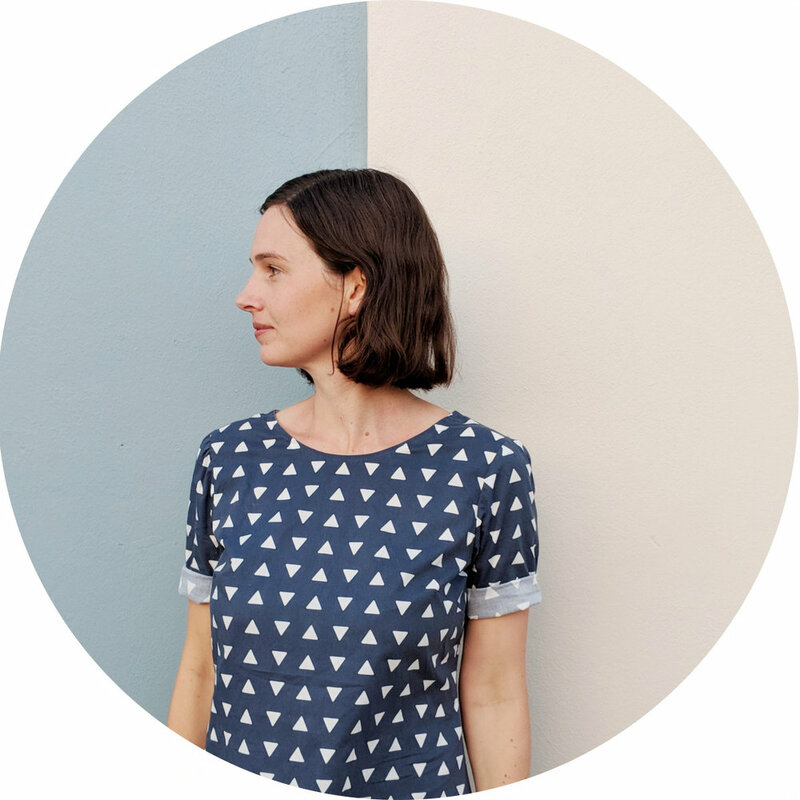 In a recent Instagram post, Emily of In The Folds said 'I want #inthefoldspatterns to help makers feel comfortable and at ease in their clothing and their skin, and the best way I know how, is to make patterns for thoughtful and wearable pieces that will fit into any wardrobe'. This pattern certainly achieves this goal - I recommend it to anyone wanting to make a versatile top you'll get a lot of wear out of.